February 1st. Imbolc. Celebrating Brigit and the first day of Spring as we welcome new life and the promise of new life in this season. 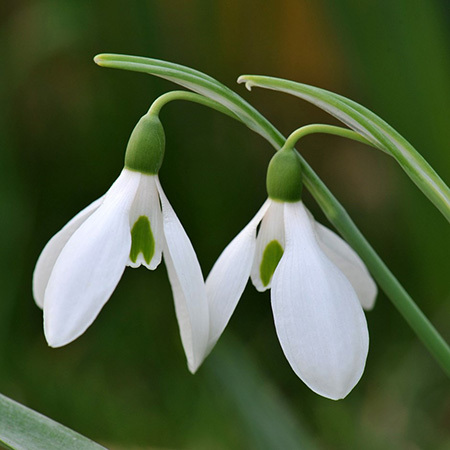 The snowdrop is among many of Brigit’s sacred symbols. The first day of Spring. Granted, with the polar vortex and sub-zero temperatures currently gripping much of this country, it may be hard to think about Spring. But even without the dynamics of climate change, today being the first day of Spring is as challenging to embrace as Beltane, May 1st, being the first day of Summer, or Lughnasa, August 1st, being the first day of Fall, or Samhain, October 31st, being the first day of Winter. In our ‘modern’ western culture we wait weeks longer for the full manifestation of each season before declaring its presence. It’s almost as if we don’t have the patience for the slow unfolding and awakening of each season. We want to be in the fullness of it. Now. No waiting. And I’m finding at the moment that this applies not only to the seasons of the Earth but also the seasons of our lives. My new Crone book. I am both humbled and fascinated by the response to it. Humbled that it seems to be deeply meaningful for so many women. Fascinated by the response of younger women, women who are, in some cases, decades from being Crone but who seem ready to name themselves Crone. Ready to have a Croning ceremony for their 50th birthday. Ready to claim the full manifestation of Crone. Now. No waiting. Being Crone isn’t just about being old…but it is about being old. While I appreciate these younger women may see something aspirational and engaging about holding Elder wisdom, I hope they can appreciate and have patience for the journey. The slow unfolding and awakening. For in this there is unfolding wisdom. Now that I am an old woman, an elder wise woman of 72, and walking the ancestor road to return to Source I can see clearly how much of a hurry I was at 50, 60, and 65 to be named elder. My years have brought me to a place I never understood- I am so much younger now, I was older way back when! Ah…the wisdom of Crone. You hold that absolutely. As always, honored to be on this journey with you! Thank you for this reflection; it has shed wise light on some things that have puzzled me. Hey Anne. Delighted this shed light. Not sure what has puzzled you…but you will discover the Crone book goes into much more on many aspects of this post. Beannacht!